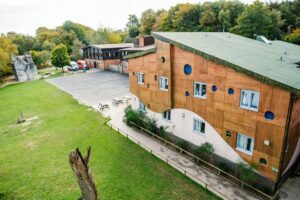 Hindleap Warren Outdoor Education Centre is set in 300 acres of woodland in the Ashdown Forest. 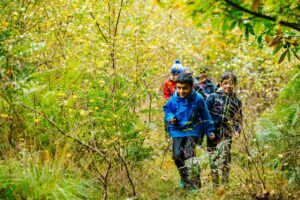 We offer gold standard outdoor development and learning for children and young people, providing residential trips away and day trips. 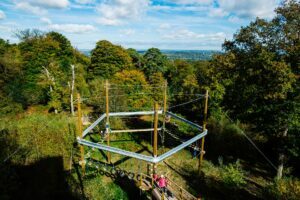 Our activities include; high ropes, team building and obstacle courses, archery, bushcraft and forest adventures. In the local area we also run rock climbing, canoeing and kayaking and underground mine exploration. Through a combination of these activities and the high quality delivery of our experienced and qualified instructional staff, we believe young people can be stimulated and stretched to cope better with challenges. “Superb instruction from the Hindleap staff, excellent resources and facilities plus the freedom to allow the children to be children in a safe environment”.